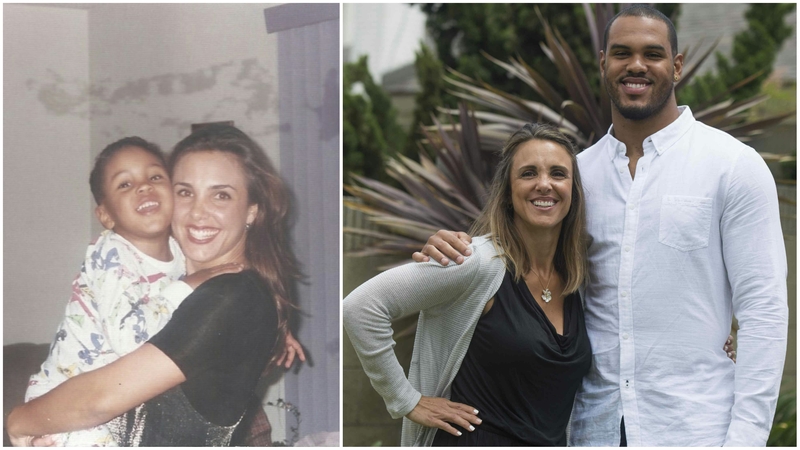 When former UCLA linebacker and current Minnesota Viking Anthony Barr was born, his mother Lori Barr was a scared 19-year-old college student. She raised him as a single mother, with the help of her parents, while she finished her bachelor’s degree and master’s degrees and worked multiple jobs. Together, the two are starting a foundation for other single mothers in Lori’s situation. The Anthony Barr Foundation launches next month and will provide scholarships for tuition and child care for single mothers who want to pursue their college educations. Read more about Anthony and Lori’s story and the foundation here. For more information about the Anthony Barr Foundation, click here. Four Bruins in three years. The Minnesota Vikings made that happen on Friday, picking yet another UCLA product by making linebacker Eric Kendricks their 45th overall pick. The move reunites Kendricks with Anthony Barr, whom the Vikings took with the ninth overall pick in 2014. Both players won the Lott IMPACT Trophy as seniors, and Kendricks — who left UCLA as its all-time leading tackler — also won the Butkus Award. “I feel like I just got drafted again,” Barr tweeted. Kendricks had been projected as a potential late first-round selection, and didn’t figure to wait much longer in the second round. Only 12 other players heard their names called out in Chicago before him. In addition to Barr and Kendricks, Minnesota drafted punter Jeff Locke and offensive lineman Jeff Baca in the fifth and sixth rounds, respectively, of the 2013 NFL draft. » After being picked ninth overall in the NFL draft, linebacker Anthony Barr officially signed with the Minnesota Vikings on Tuesday, inking a fully guaranteed contract worth $12,743,596 over four years. He will get a signing bonus of $7,588,072, and the team can exercise a fifth-year option. He and other former UCLA players must return to campus through spring quarter, however, since NFL rules dictate that anyone who hasn’t graduated cannot stay their teams until their school sessions end. Can UCLA pull off a repeat? Linebackers Myles Jack and Eric Kendricks were both named to the 42-man watch list for the Lott IMPACT Trophy — which Anthony Barr won last year. Kendricks, a senior, also made last year’s preseason list. Jack and Kendricks were two of the Pac-12’s 11 nominees. USC, Stanford and Washington each also placed two names on the list.